The new Rapid Fire, with a highly-polished R2S coverstock, is a much hotter version than the original Fired Up. Combine that with Twin-V symmetrical weight block and you have excellent skid through the heads, midlane traction in fresh oil, and tremendous energy through the pocket. 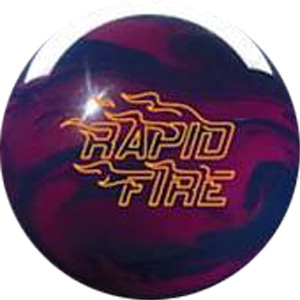 Offering outstanding versatility for different types of players and conditions, the Rapid Fire is sure to ignite your fire within.